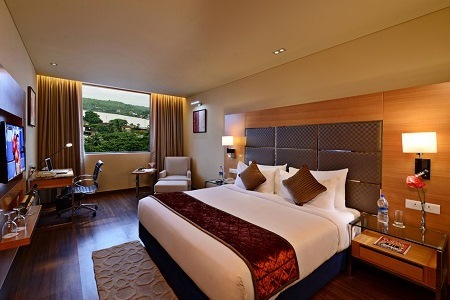 The Country Inn & Suites® by Radisson, Goa Panjim keeps you close to the heart of Goa with its location off NH 66. For some shopping, pay a visit to 18th June Road—one of the city’s most popular places for local shops, international stores and tasty treats. Prefer sun and sand to shopping? Miramar Beach is only 15 minutes away. To enjoy a whirlpool tub perfect for relieving stress or celebrating special occasions, reserve a Deluxe Room or Junior Suite. 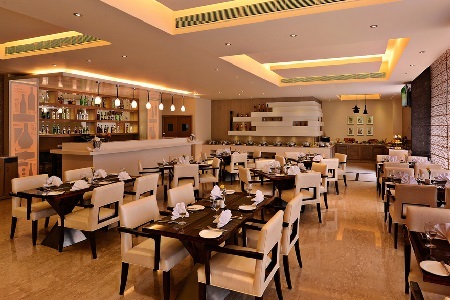 Our Mosaic restaurant serves a complimentary, hot breakfast in the morning in addition to à la carte entrées and buffet items throughout the day. 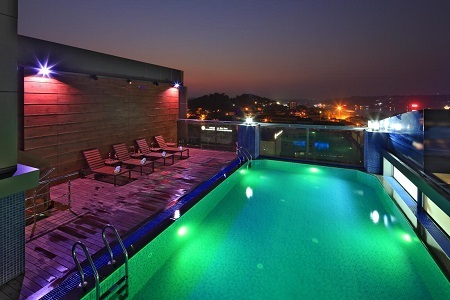 Boasting breathtaking views of the Mandovi River, Rooftop Annex is the perfect spot for a memorable meal. Indulge in delectable barbecued dishes al fresco. After a meal in one of our two restaurants, swing by the Patio Lounge for a cool cocktail or your favourite nightcap. 18th June Road – Located just one kilometre from the hotel, 18th June Road is lined with shops selling artisan crafts and international merchandise. Don’t leave without sampling some lemon soda, locally grown cashews and delicious Gujarati sweets. Miramar Beach – This beach is home to white sands and smaller crowds than the beaches at Baga and Calangute. Drive about three kilometres from the hotel to spend the day soaking up the sun. For a memorable visit, take a boat tour to see dolphins and Fort Aguada. Reis Magos Fort – Though Fort Aguada is more popular with tourists, this complex just five kilometres from the hotel deserves a second look. Built in 1551, the fort includes 33 cannons and an art gallery depicting the various cultures in Goa. The ramparts offer stunning views of the Arabian Sea and Panjim across the river. 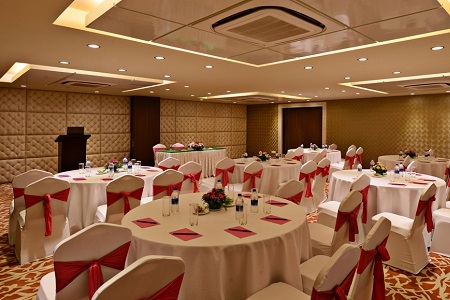 We offer event space ideal for small seminars and large banquets. Our boardroom comfortably seats 10 guests, and our ballroom has space for 120. With free high-speed Internet access, a business centre and on-site dining, our hotel is an ideal spot for hosting multi-day seminars.